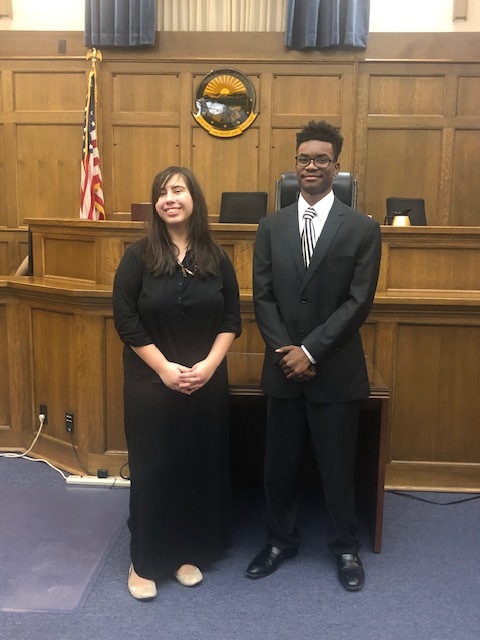 The Mock Trial Team at Charles F. Brush High School recently notched a hard-fought and diligent competition against Painesville Riverside. The individuals who comprise the team combined their respective and emerging legal minds to craft the appropriate words to align with compelling arguments in this exciting performance. The Defense Team of Isaiah Johnson, Nick Anderson, Niah Johnson and Elena Flores bearned a pivotal victory with a score of 2-1. In addition, Nick Anderson also captured the award for “Outstanding Attorney” during the competition while Niah Johnson earned “Outstanding Witness” honors. Isaiah Johnson and Elena Flores are to be commended as well, as this year represents their fourth on the team. The Mock Trial Team would like to offer a round of Special Thanks to our Bailiff, Maryum Yakout, and our Timekeeper, Gabrielle Kelson. 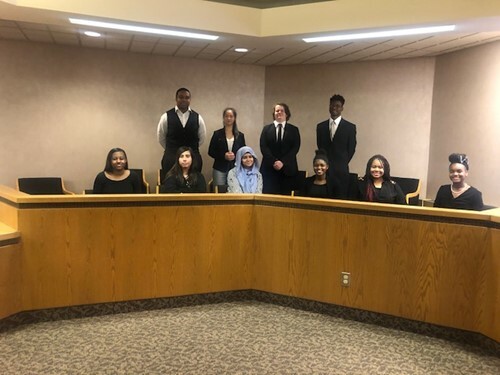 The South Euclid Lyndhurst Schools would like to congratulate the Brush Mock Trial Team for this convincing victory and for finely representing our District.